The book is narrated by Douglas, a man who is struggling with his wife Connie's announcement that she plans to leave him once their son goes to University. The family have long planned a European tour designed to jettison their son Albie into adulthood. Connie agrees to go ahead with the trip as planned and Douglas resolves to save their marriage. The best laid plans often go awry however, and Douglas finds himself upsetting his wife and son in equal measure. As the reader cringes at Douglas's inept handling of family situations, we learn more about the history of the couple. A mismatched pair in many ways, Connie is the artistic, impulsive artist to Douglas's practical and logical scientist, we learn the circumstances that brought them together and the events that nearly tore them apart. The narrative shifts are done seamlessly by this skilled plotter and we come to know and understand Douglas as a man who doesn't always know how best to handle things. 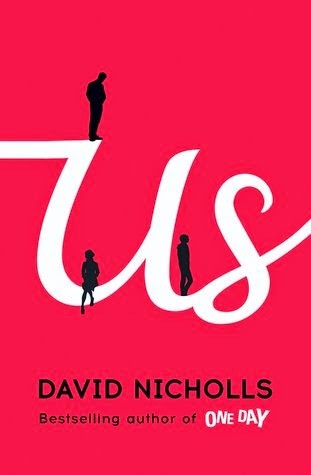 There is something endearing about the way in which the protagonist struggles repeatedly to connect with his son and perhaps Nicholls' greatest triumph is the creation of this very human character. What unravels is a complex and meandering history of a couple who have coped with infidelity, the loss of a child, and the gradual cooling off their young dreams. While the story may sound glum (and there are moments of sadness), the book ends on a note of hope. No matter what comes next for Connie and Douglas, it's enough to have shared that much experience with another person. This is a funny, tender novel and a very enjoyable read.